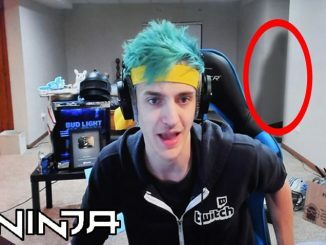 From a Youtuber who filmed something scary under her bed to a vlogger chased by a creepy clown, these are the scariest things YouTubers have caught on camera. In August, 2016, popular YouTube vlogger, Marissa Rachel uploaded this very creepy video to her channel. While filming a giveaway video, Rachel left the room for a few minutes to get one of the prizes. When she returned she noticed that she had left the camera rolling and that it was now tilting down towards the ground. Thinking that is was just the weight of her camera that had caused the tripod to tilt, Rachel thought little of it and continued filming the video. However, a few days later her sister, Shanna was editing the footage when she noticed something truly unnerving. In the bottom left-hand corner there appears to be a child’s hand that suddenly pulls back under the bed. After viewing the clip, Rachel said that she was certain that there was a ghost under her bed and felt as though there might actually be more than one ghost haunting her house. She said that she no longer sleeps very well due to regular nightmares and is even too scared to sleep in her own bed. A few weeks later, Rachel posted an update claiming that she was still having trouble sleeping. She said that she had been waking up at 3 am and had began to notice weird scratches appearing all over her body. As she talks about the incident on camera, her sister tells her that she can see a large mark starting to appear on her neck. Rachel is clearly shaken and starts to cry. In a video posted sometime later, Rachel continues to update her fans about the mysterious events. She mentions that she thought her belongings were being moved around the room and that she awoke one night to find a large welt on her stomach. The following day she went to the hospital but the staff were unable to determine what had caused it. Finally, she decides to buy a Ouija board in an effort to contact the spirit. Using the board, Rachel and her sister discover that her room is indeed haunted. The spirit then supposedly spells out the word ‘help’ at which point the girls decide to stop. Just as they release the hand piece, it appears to move for a brief second all by itself. These videos are some of the most popular on Marissa Rachel’s channel, leading some viewers to suggest that the ‘haunting’ might have been a stunt contrived by Rachel herself in an effort to gain views. However, Rachel definitely appears to be genuinely terrified at several points during the clips and many fans are convinced that she was indeed the victim of something supernatural. Brennen Taylor is a popular YouTube vlogger who seems to get himself into more than his fair share of scary situations. In this video, uploaded in October, 2016, Taylor and some friends decide to explore an abandoned L.A. motel that is supposedly haunted. Shortly after entering the property, Taylor hears a strange sound that seems to unnerve him. The group make their way around the motel and it soon becomes apparent just how run down it actually is as Taylor and his crew have to overstep holes in the walkway just to reach the stairwell. They climb the graffiti lined stair case which leads to the roof top of the derelict building. The group continue their exploration of the upper level walkways before entering another stairwell. As they do, Taylor says that he is pretty sure that someone lives in there. Next, the curious crew enter one of the empty motel rooms. The windows are all boarded up and its difficult to see what is inside. As the camera pans around the room you can see what appears to be a sleeping bag lying on the floor in one of the corners. Suddenly, a loud banging noise scares the group and they hastily make their way back down the stairs towards the ground level. 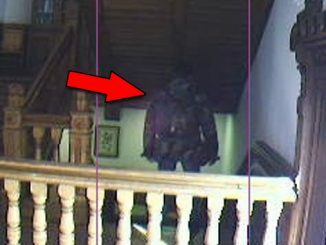 As they flee, an eerie figure can be seen for a brief second, looking down from one of the upstairs balconies. Immediately after the video was released, fans began speculating about the mysterious figure. Some thought it was a homeless person who had been disturbed by the group. Others thought that it could have been a ghost. Some even noted that the figure appeared to be wearing clothes from the 1990’s – the same time that the motel closed down. While it’s impossible to know exactly who or what the figure was, it certainly made for a very creepy experience. One that Taylor and his friends won’t soon forget. However, that’s not the only time Brennen Taylor has encountered something truly terrifying while filming a vlog. On a separate occasion, Taylor and his brother were terrorized by a person dressed as a clown while out on a hike. 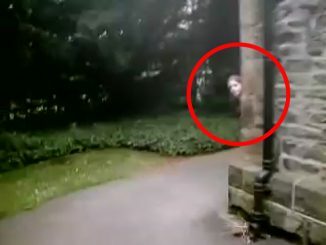 In the video, Taylor’s brother calls out to the clown who turns and chases the boys down the hill. They sprint back down the path and decide to hide in some nearby bushes. The two discuss their next move as the creepy clown slowly walks past. Taylor and his brother decide to take a shortcut back to the car but soon realize that they are lost and so decide to climb a nearby tree to get their bearings. As they search for the car, they spot the clown once again. This time it is below them, walking past the base of the tree. The clown appears to be searching intensely for the pair. They wait for the clown to walk by before descending the tree. Once again on the path, the two boys soon find their way back to the car. Suddenly, they spot the clown on top of the hill furiously running towards them. Taylor and his brother just manage to get in and drive away as the clown is seen chasing close behind. This video was sent to the YouTube channel, The Haunting of Sunshine Girl Network by a woman named Shannon. She is attempting to film a hair braiding tutorial when she hears a strange noise coming from behind her. Shannon then explains to the camera that she has been experiencing unusual things in her house lately like eerie noises and the doors mysteriously closing by themselves. Suddenly, the door slams shut behind her. Clearly unnerved by the incident, Shannon decides to pick up the camera and go and investigate. First, she enters a nearby bathroom where she claims that she saw the shower curtain moving all by itself a few days earlier. 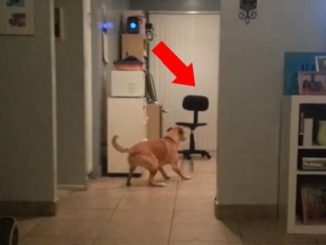 Shannon then decides to enter the room behind the door that slammed shut earlier in the video. She cautiously searches the closet then the en suite but is unable to find evidence of anything paranormal. The following day, the channel released another video. In this one, Shannon claimed that she awoke the night before to hear a creepy, old man’s voice coming from upstairs. Eventually, she managed to pluck up the courage to check it out but was once again unable to find anything unusual. As Shannon is explaining the events, she suddenly hears yet another noise. Taking the camera with her, she heads upstairs to see if she can capture something on film. As she searches the bedroom, a creepy moaning sound can be heard coming from the room at the end of the hall. The room is the same one in which she started filming the very first video. Unable to see anything strange, Shannon decides to look in the closet. Inside is a mysterious door that leads to a dark room full of boxes. However, after a quick search of the room she is convinced that there is nothing in there and decides to leave. The next day, a new video was released that begins in similar fashion to the previous two. Shannon hears a creepy noise and once again heads upstairs to investigate. This time she is convinced that the sound is coming from the mysterious room inside the closet. 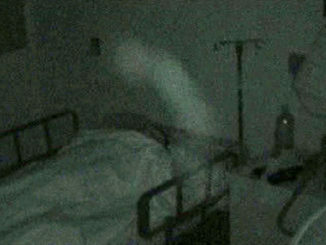 Shannon enters the room and attempts to make contact with the spirit by saying ‘Hello? 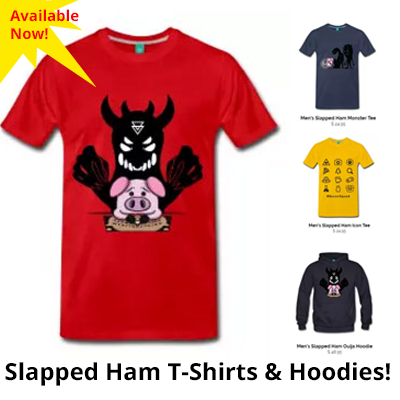 I know I heard you in here!’ Suddenly, the door slams shut behind her. 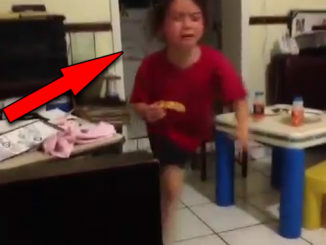 She then lets out a blood curdling scream and the video abruptly ends. 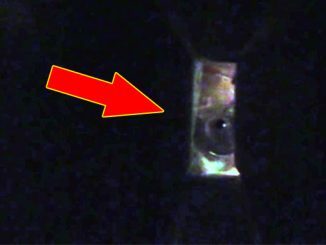 These creepy videos have been viewed millions of times and many viewers have offered their opinions about them. Some think that the videos could be part of a staged web series. However, others believe that Shannon was actually the victim of a vengeful spirit. What do you think? 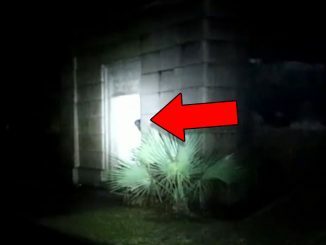 Was there really a ghost haunting this Youtuber’s house or was it all just a well contrived hoax? Let us know your thoughts in the comments section below.